Understand and correctly use all the latest terminology in today's ever-evolving medical field with the 32nd edition of the comprehensive, highly respected Dorland's illustrated medical dictionary! Thoroughly updated, this user-friendly reference-trusted for more than a century by healthcare personnel at every professional level-allows you to grasp the meanings of all medical terms in current usage. It delivers more total entries than in any other dictionary of its kind, including several thousand new words, as well as 500 new illustrations to aid your understanding. 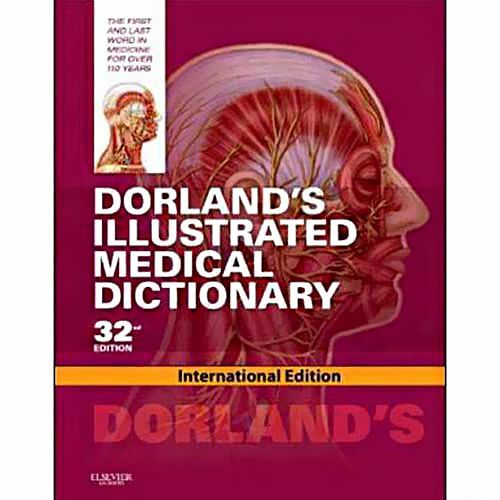 Easily stay up with the changing terminology in your field by depending on Dorland's-the most reliable medical dictionary available today!